It all began on a serendipitous summer evening in 2003. A beach party, and a set list that placed DJs Roog and Erick E next to each other led to an impromptu back-to-back set of party house jams. With fun-loving Erick E and stoic music lover Roog each pushing the other hard to bring bigger and better tunes out of the bag, the crowd went wild. In the haze of post-party euphoria, elated by their amazing chemistry, Housequake was born. This year, Housequake celebrates a full decade in house music. To mark this momentous anniversary, they are releasing a special 10-year anniversary mix album featuring ten amazing remixes of their favourite tracks. They will also be performing ten festival dates, unleashing the full force of their creativity with a show that enlists an impressive array of decks and VDJ players. Their signature style – longer sets with vocally-inspired visuals that excite, inspire and engage. Housequake have wowed crowds at a dizzying array of festivals and events over the years, including A Day at the Park, Mystery Land, Extrema Outdoor and Sensation. 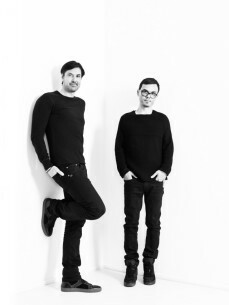 The pair also founded their own festival, which sells out to attract more than 10,000 visitors annually, club nights in venues such as Cruise Terminal Rotterdam and Luxor Live in Arnhem. In addition, they stay true to their roots with their infamous summer beach parties, thrown with wild abandon each year. In the studio Roog and Erick E have no problem recapturing the spark generated in their live performances. Four internationally acclaimed Housequake compilations are an essential part of Holland’s house narrative, offering a peep into a genre that remains as fresh and relevant today as it did ten years ago. Their latest track, Beyond Tomorrow ft. Terri B was a club sensation, following up from Shed My Skin ft Anita Kelsey, People are People and the instantly recognizable Out Of The Dark ft Michelle David.